In my many years of practicing dentistry in Fort Myers, I have always been proud of the fact that I have kept up with the latest technology. My most recent purchase is proving to be one of the most important tools ever in helping me to more accurately diagnose my patient’s dental problems. In the past, dentists were limited to 2D scans that sometimes made it difficult to accurately diagnose dental issues and plan treatment. The cone beam scanner quickly produces a 3D image of my patient’s jaw and teeth with amazing clarity. With greater detail and dimension, cone beam technology allows me to more reliably and quickly identify damaged or abscessed teeth and plan treatment. The 3-D image produced by this technology is incredibly helpful in uncovering hidden infections or pathology that conventional x-rays would miss. This advanced dental care is crucial in helping me to diagnose dental problems that are now proven to cause heart attacks and strokes. Our cone beam x-ray technology emits an x-ray beam that takes hundreds of images that are then compiled into a single image with a scan time of 18 seconds. 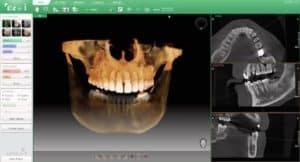 This technology allows us to focus into specific areas in three different dimensional views which helps me to view dental anatomy and pathology from different angles. These scans also support a wide range of diagnosis and treatment planning, making them extremely flexible. Further, they increase the possibility of treatment success, granting me greater predictability and confidence in preparing for periodontal procedures, extractions, performing root canals, and placing implants. I am proud to say that my 3D dental scanner is the best available in its ability to not only give me the best image, but at the least radiation of any scanner on the market. My scanner’s radiation is so low that it is approved for children. As the pioneer of the Green CT, VATECH’s Green technology reduces the radiation level of my x-ray machine without reducing image quality. 3D dental imaging also delivers the power of repeatability, providing fast and accurate imaging that’s consistent—and thus, reliable. Using 3D technology with a comprehensive view, lets me see specific conditions in the region of interest to determine whether a treatment is necessary. Because details show up so clearly, patients can be more confident in my decisions. 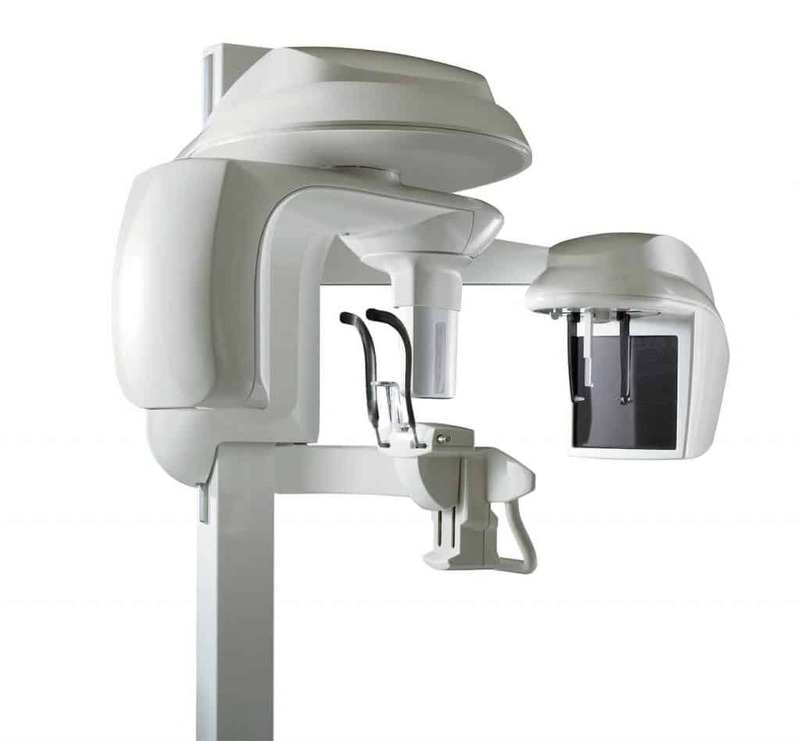 In addition, the use of dental imaging technology often creates a more comfortable and engaging dental care for the patient.